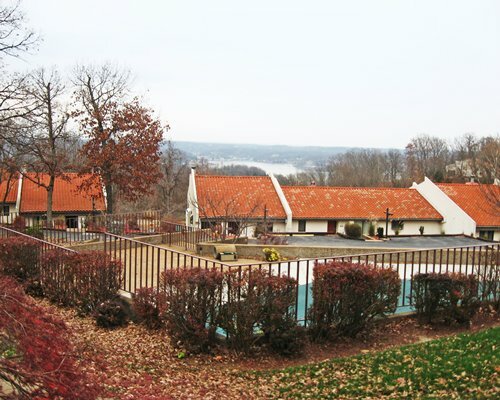 Osage Vistas is a year-round Midwestern vacation destination in the heart of the Lake of the Ozarks area. 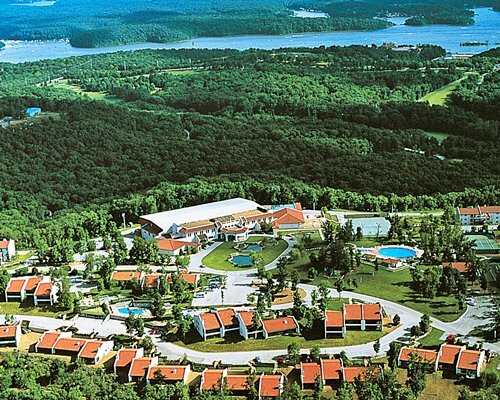 The resort is located about three hours' drive from both St. Louis and Kansas City. 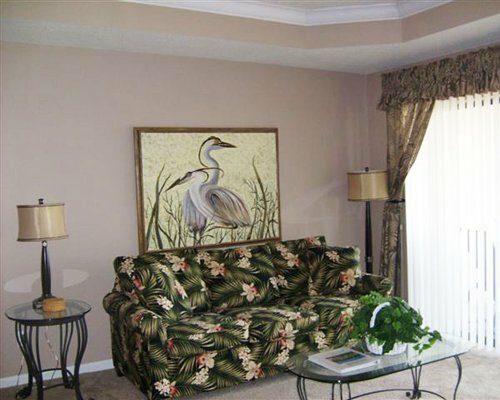 Nearby amenities include hairdresser services, medical facilities, groceries and car rental. 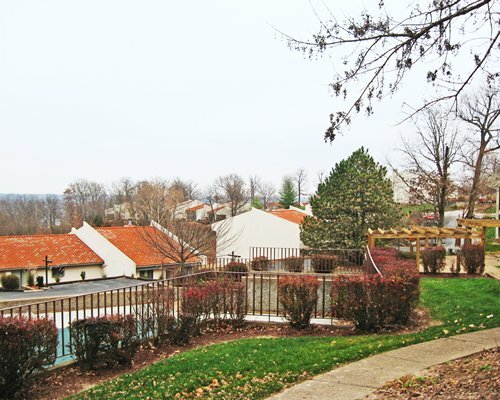 There are 257 two- and three-bedroom condominiums at the Osage Vistas that sleep six to eight people. 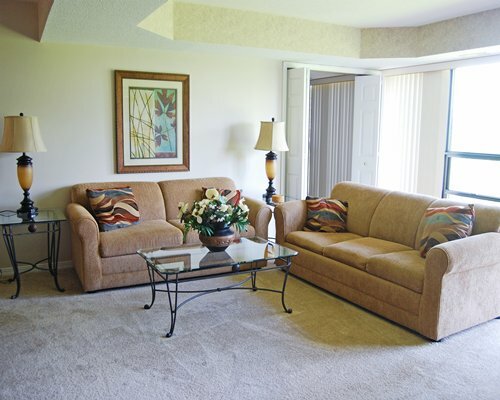 All units include full kitchens with dishwasher and microwave, washer/dryer, air conditioning, carpeting. Most units have wood-burning (duraflame type/paper logs only) fireplaces, screened-in or glassed-in porches and whirlpool tubs. 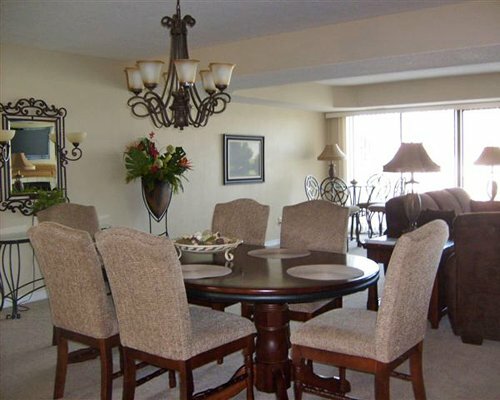 Most units require up to 20 stairs to access the units and the resort does not have any elevators. There are 17 golf courses close by . The resort also offers 6 outdoor pools available from Memorial Day to Labor Day. 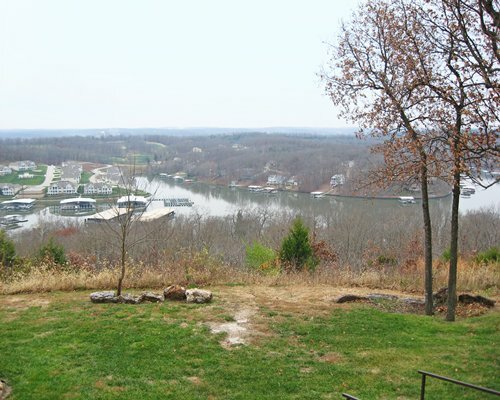 With over 1,100 miles of lake shoreline and several great state parks, the Lake of the Ozarks offers a wide variety of outdoor activities for everyone. For the golfer, there are several 18 golf courses in the area, while lovers of water sports can enjoy waterskiing, boating and fishing. There's horseback riding available too. 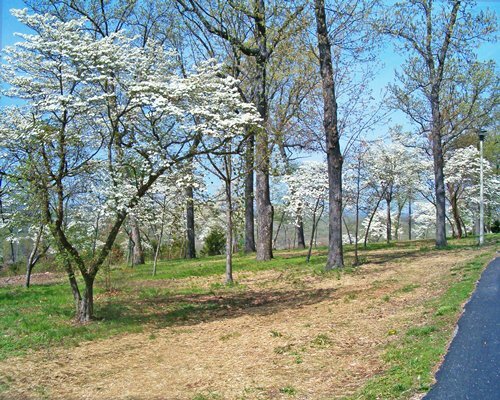 If you're more interested in indoor pursuits, there's plenty of nightlife, several wineries and shopping in the area, including a 110 unit outlet mall. 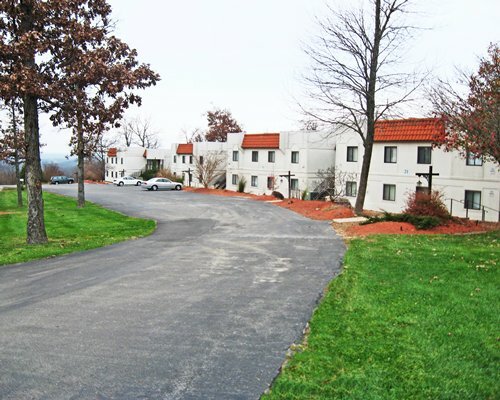 The resort is located 160 miles from St. Louis International Airport (Lambert Field). From the airport, take I-70 West 90 miles to Exit 148/US 54 West. Proceed on US 54 West through Jefferson City and Eldon. Approximately 12 miles past the Eldon exits, take the first Bagnell Dam exit, which is Business 54. Proceed on Business 54 to the intersection of Business 54 and Highway HH. Turn right onto Highway HH and proceed to Carol Road. Turn right onto Carol Road. The resort is approximaely one mile away, on the left. 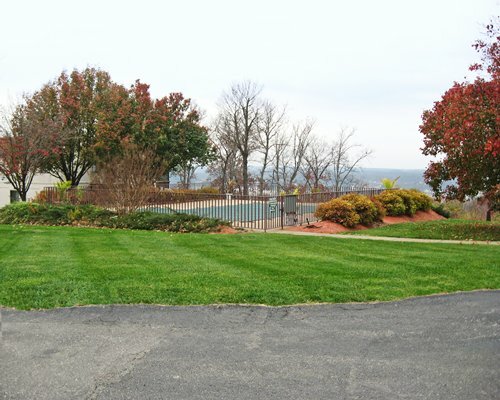 At the entrance to Four Seasons Racquet & Country Club, continue around the fountain to the Property Owner's Association office for check-in. if arrival is after 5:00 pm security personnel will direct you.